The aim of the present paper is to examine and explore the research status, trom the relevant research literature, on the relationship between personality variables and marital satisfaction. It further contributes our knowledge of understanding by reviewing scientific research literature published over the last thirteen years. Review papers, articles and empirical studies were searched trom eleven scientific database. The methodological assessments of each paper were examined using six parameters viz., research design, validity coetficient of criterion measure on own data, reliability coefficients of criterion measure on own data, validity or reliability coefficients of different predictor measure, statistical analyses and reported etfect size. The most trequently predictors included neuroticism, agreeableness, conscientious, extraversion, openness to experience, impulsivity, immature defense mechanism, communication, attachment, emotional stability and spousal support. There have been many problems with the theory and empirical work in this area. The critical review includes both theoretical and empirical implication. Marital Satisfaction, Marital Adjustment, Personality Variables, Couples. Amiri, M., Farhoodi, F., Abdolvandc, N., &Bidakhavidid, A. R. (2011). A study of the relationship between Big-five personality traits and communication styles with marital satisfaction of married students. Procedia- Social and behavioral Sciences, 50,685-689. Anahita, T.B., Sadat, I.A.F.,Fini, I.A.,Hamidreza, G., &Neda,M.A. (2016). The marital satisfaction and its relative factors among older adults. Nursing and Care Open Access Journal, 7,Issued.DOI: 10.15406/ncoaj.2016.01.00018. Anderson, S. A., Russell, C. S., & Schumm, W. R. (1983). Perceived marital quality and family life-cycle categories: A further analysis. Journal ofCarriage and Family, 45, 127-139. Azeez, A.E.P. (2013). Employed women andmarital satisfaction: Astudy among female nurses. IntemationalJoumal ofManagement and Social Sciences Research, 2(11), 17-22. Bagby, R.M., Parker, J.D., & Taylor, G.J. (1994). The twenty-item Toronto Alexithymia Scale: I. Item selection and cross-validation of the factor structure. Journal of Psychosomatic Research, 38,23-32. Bartholomew, K., & Horowitz, L.M. (1991). Attachment styles among young adults: A test of a four-category model. Journal of Personality and Social Psychology, 61,226244. Basharpoor, S., Mohammadi, N., & Sadeghivelni, Z. (2015). The role of emotional control and relational beliefs in predicting couple burnout. Social Psychology Research Quarterly, 5(17), 52-64. Behera, J., & Hasan, B. (2018). Cultural identity and acculturative stress: A systematic review. Paper accQ-pted. Indian Journal of Health and Well-being, 20(3), el 17. Bidgolil, E.R.H., & Tamannaeifar, M. (2017). The prediction ofmarital burnout based on personality traits. International Journal of Scientific Study, 5(4), 647-652. Bloom, B., Asher, S., & White, S. (1978). Marital disruption as a stressor: A review and an^rysis. Psychological Bulletin, 85, 867-894. Blum, J. S., & Mehrabian, A. (1999). Personality and temperament correlates ofmarital satisfaction. Journal of Personality, 67,93-125. Brennan, K.A., Clark, C.L., & Shaver, P.R. (1998). Self report measurement of adult attachment: An integrative overview. In J.A. Simpson and W.S. Rholes (Eds. ), Attachment theory and close relationships (pp. 46-76). New York: Guilford. Burman, B., & Margolin, G. (1992). Analysis of the association between marital relationships and health problems: An interactional perspective. Psychological Bulletin, 112, 39-63. Busby, D. M., Holman, T. B., & Taniguchi, N. (2001). Relate: Relationship evaluation of the individual, family, cultural, and couple contexts. Family Relations, 50(4), 308316. Buss, D. M., & Shackelford, T. K. (1997). Susceptibility to infidelity in the first year of marriagQ. Journal of Research in Personality, 31,193-221. Buss, D. M. (1991). Conflict in married couples: Personality predictors of anger and upset. .Journal of Personality, 59,663-688. Claxton, A., O'Rourke, N., Smith, J. Z., & DeLongis, A. (2011). Personality traits and marital satisfaction within enduring relationships: An intra-couple discrepancy approach. Journal of Social and Personal Relationships, 29(3) 375396. DOI: 10.1177/0265407511431183. Cooper, S. (1967). The antecedents of self-esteem. San Francisco, CA: Freeman Press. Coolidge, F. L. (1999). Homey-coolidge tridimensional inventory: Manual. Colorado Springs, CO: Author. Copen, C.E., Daniels, K., Vespa, J., & Mosher, W.D. (2012). First marriages in the United States: Data from the 20062010 national survey of family growth. ^National Health Statistical Report, 49,1-21. Costa, P. T., & McCrae, R. R. (1989). Neo Pl/FFl manual supplement. Odessa, FL: Psychological Assessment Resources. Costa, P. T., & McCrae, R. R. (1992). RevisedNEOpersonality inventory And NEOfive factor inventory. Lutz, Florida: Psychological Assessment Resource, Inc.
Costa, P. T., & McCrae, R. R (1999). A ;five-factor theory of personality. In L. A. Pervin and O.P. John (Eds. ), Handbook of personality: Theory and research (pp. 139-153). New York: GuilfordPress. Cowan, P. (2015). Staying lovers while raising kids. Retrieved from: http://www.parents.com/parenting/relationships/staying-close/staying-lovers- while raising kid, E., Inglehart, R., & Tay, L. (in press). Theory and Validity of Life Satisfaction Scales. Social Indicators Research, DOI: 10.1007/sll205-012-0076-y. dsl. Crane, D. R., Bean, R.A., & Middleton, K. C. (2000). Establishing criterion scores for the Kansas Marital Satisfaction Scale (KMSS) and the Revised Dyadic Adjustment Scale (RDAS). The American Journal of Family Therapy, 28(1), 53-60. Decuyper, M., DeBolle, M., & DeFmyt, F.B. (2012). Personality similarity, perceptual accuracy, and relationship satisfaction in dating and married couples. Personal Relationship, 19,128-145. DeVries, R. E., Bakker-Pieper, A., Konings, F.E., & Schouten, B. (2013). The Communication Styles Inventory (CSI): A six-dimensional behavioral model of communication styles and its relation with personality. Communication Research, 40(4), 506-532. Dinani, P. T., Zarbakhsh, M., Samkhaniyan, E., Hamidi, M., &Arkiyan, F. (2014). Study on the relationship between love attitudes and marital satisfaction among married women. European Online Journal of Natural and Social Sciences, 5(3), 468-474. Fattahi, R., & Homabadi, J. V. (2017). The mediating role of religious belief according to personality traits, identity, conflict and marital satisfaction among couples in Tehran. BioscienceBiotechnology Research Communication Special, 1,33-41. Fergusson, D. M., & Horwood, L. J. (2001). The christchurch health and development study: Review of findings on child and adolescent mental health. Australian and New Zealand Journal of Psychiatry, 35, 287-296. Fincham, F. D., & Bradbury, T. N. (1987). The assessment of marital quality: A reevaluation. Journal of Marriage and theFamily, 49, 797-809. Fincham, F. D., & Linfield, K. J. (1997). Anew look at marital quality: Can spouses feel positive and negative about their marraige? Journal of Family Psychology, 11, 489502. Fisher, T. D., & McNulty, J. K. (2008). Neuroticism and marital satisfaction: The mediating role played by the sexual relationship. Journal of Family Psychology, 22(1), 112-122. Fowers, B. J., & Oslan, D. M. (1986). Predicting marital success with PERPARE: A predictive validity sXudy. Journal ofMarital and Family Therapy, 72(4), 403-413. Goldberg, L. R. (1999). A broad-bandwidth, public-domain, personality inventory measuring the lower-level facets of several five-factor models. In I. Mervielde, I. Deary, F. De Fruyt, andF. Ostendorf (Eds. ), Personality psychology i-n Europe (Vol. 1, pp. 728). Tilburg, The Netherlands: Tilburg University Press. Goldberg, D. P., & Hiller, V. F. (1979). A scaled version of the general health ojpQsXioTaRaixQ. Psychological Medline, 9, 139-145. Gottman, J. M. (1993). Atheory ofmarital dissolution and stability. Journal of Family Psychology, 7,51-15. Grosi,F. M. (1998). Standardization of Fire-Scale model investigating the analysis of its feature and factor construct among university students. Ph.D. Thesis, Tehran: University of Teacher Training. Hazan , C., & Shaver, P. (1987). Romantic love conceptualized as an attachment procQss. Journal of Personality and Social Psychology, 52,511-524. Hendrick, S., & Hendrick, C. (1992). Uking, Loving and Relating. Pacific Grove: Brooks/Cole. Heshmati, H., Behnampour, N., Arabameri, S., Khajavi, S., & Kohan, N. (2016). Marital satisfaction in refereed women to gorgan health centers. Iran Journal of Psychiatry, 77(3), 198-200. Hudson, W. W. (1998). Index of sexual satisfaction. In C. M. Davis, W. L. Yarber, R. Bauserman, G. Schreer, and S. L. Davis (Eds. ), Handbook of sexuality-related measures (p^.52-53). Thousand Oaks, CA: Sage. Javanmard, G. H., & Garegozlo, R.M. (2013). The study of relationship between marital satisfaction and personality characteristics in Iranian families. Procedia - Social and Behavioral Sciences, 84(9), 396-399. Jodeyri, J., & Janbozorgi, M. (2009). Investigating the relationship between marital satisfaction with demographic factors, education, length of marriage, age of marriage and age differences. Journal of Scientific - Professional Psychology and Religion, 5,49-84. John, O.P., & Shrivastava, S. (1999). The big five trait taxanomy: History, measurement and theoretical perspective. In L.A. Pervin and O.P. John (Eds), Handbook of personality: Theory and research (pp 102-138). New York: Guilford Press. Janbozorgi, M., & Ibrahimi, A. (2008). The relationship between communicative skills and marital sa.sfa.eXon. Psychology and Religion 7(1), 107-119. Jorshari, M. H., & Boland, H. (2015). relationship between alexithymia, introversion/ extraversion and neuroticism with marital satisfaction. Indian Journal of Fundamental and Applied Life Sciences, 5(1), 5189-5198. Karimzadeh, A. (2007). Investigation of relations, personalityfactors, and coping style. Unpublished dissertation, Tehran University, Tehran. Kamey, B. R., & Bradbury, T. N. (1997). Neuroticism, marital interaction, and the trajectory of marital satisfaction. Journal ofPersonality and Social Psychology, 72, 1075-1092. Kaur, T., & Shrivastava, S. (2011). Personality, emotional intelligence and marital satisfaction of violent and non-violent couples. Journal of Indian Academy of Applied Psychology, 37(l), 35-46. Khademi, A. (2017). Prediction of marital dissatisfaction based on personality characteristics and social relations in couples of students and non-students. International Journal of Medical Research andHealth Sciences., 6(1), 103-107. Khan, K.A., & Hasan, B. (2016). Relationship ofacculturative stress with social support, acculturation experience and cultural intelligence. A systematic review. Indian of Health and Well-being, 7(1), 67-72. Khoshdast, F. A., Jalali, M. R., & Kakavand, A. R. (2016). Relationship between the personality traits, defense mechanisms and marital satisfaction of elementary school students parents. HOABJ, 7(10), 31-37. Locke, H.J., & Wallace, K.M. (1959). Short marital adjustment and prediction tests: Their reliability and validity. Marr/ag-e and Family Living, 22,251-255. Manesh, R.R., & Arefi, M. (2015). Examining the role of personality traits, attachment styles and emotional intelligence in predicting marital satisfaction. Journal of Applied Environmental and Biological Sciences, 5(9), 270-275. McCrea, R.R., & Costa, P.T. (2004) A contemplated revision of NEO five factor 'mvQnXory. Journal of Personality and Individual Differences, 36,587-596. McCrae, R. R., & Costa, P. T. J. (1985). Updating Norman's adequate taxonomy: Intelligence and personality dimensions in natural language and in questionnaires. Journal of Personality and Social Psychology, 49,710-721. Mirfardi, A., Edalati, A., & Redzuan, M. (2010). Relationships between background factors and female marital satisfaction. Journal of Social Sciences, 6(3), 447452. doi:10.3844/jssp. Molaei,M., &Banihashem, K. (2016). The relationship between martial satisfaction and the personality variables of the five-factor model. International Journal of Humanities and Cultural Studies. 2356-5926 http://www.ijhcs.eom/index.p hp/ijhcs/index. Myers, I.B., McCaulley, M.H., & Most, R. (1985). Manual: A guide to the development and use of the myers-briggs type indicator. Consulting Psychologists Press Palo Alto, CA. Najarpourian, S., Fatehizadeh,M., Etemadi, O., Ghasemi, V.,Abedi, M. R., & Bahrami, F. (2012). Personality types and marital satisfaction. Institute of Interdisciplinary Business Research, 4(5), 372-383. Narimani, M., Porzoor, P., Atadokht, A., & Abbasi, M. (2015). The role of spiritual wellbeing and religious adherence in predicting marital satisfaction among nurses. Journal of Clinical Nursing and Midwifery, 4(3), 110. Norton, R. W. (1978). Foundation of a communicator style construct. Human Communication Research, 4,99-112. Olson, D. H. (1996). Counselor's manual for prepare/enrich: Version 2000. Life Innovation. Minneapolis, MH 55440. Olson, D. H., & Larson, P. J. (2008). Prepare/enrich: Customized Version. Life Innovations. P.O. Box 190, Minneapolis, MN 55440. Osgood, C. E., Suci, G. J., & Tannenbaum, P. H. (1957). The measurement of meaning. Urbana: University of Illinois Press. Pakravan, E.,Haghayegh, S.,Nshatdoust,H., &Molavi,H. (2014). Efficacy of problem solving method on the marital satisfaction and psychological profile of the couples of Brojencity. Culture Counseling, 4(16), 15-31. Pandey, R., &Anand,T. (2010). Emotional intelligence and its relationship with marital adjustment and health of spouse. Indian Journal of Social Science Researches, 7(2), 38-46. Rogge, R.D., Bradbury, T.H.N., Hahlweg, K., Engl, J., & Thurmaier, F. (2006). Predicting marital distress and dissolution: Refining the two factor hypothesis. Journal ofFamil-y Psychology, 20(V), 156-159. Rosowsky, E., King, K. D., Coolidge, F. L., Rhoades, C. S., & Segal, D. L. (2012). Marital satisfaction and personality traits in long-term marriages: An exploratory study. Clinical Gerontologist, 35(2), 77-87. Sadeghi, A., & Mozhdehi, F. K. Z. (2016). Surveying the relationship between personality traits and self-esteem with marital satisfaction in married students of islamic azaduniversity Students, Guilan Province, Iran. Psychology, 7, 655-661. Sanaii, B. (2007). Measurement Scales for family and marriage. Tehran: Besat publishing. Schaefer, M. T., & Olson, D. H. (1981). Assessing intimacy: The PAIR inventory. Journal of Marital and Family Therap-y, 1,47-60. Schumm, W. R., Scanlon, E. D., Crow, C. L., Green, D. N., & Buckler, D. L. (1983). Characteristics of the Kansas Marital Satisfaction Scale in a sample of 79 married couples. Psychological Reports, 55,583-588. Shackelford, T. K., Besser, A., & Goetz, A. T. (2008). Personality, marital satisfaction, and probability of marital infidoiiXy. Individual Differences Research, 6(1), 13-25. Shiota, M. N., & Levenson, R. W. (2007). Birds of a feather don't always fly farthest: Similarity in big five personality predicts more negative marital satisfaction trajectories in long-term marriages. Psychology and Aging, 22(A), 666-675. Shahmoradi, G., Malek, I. E., Maleki, T., Shahmoradi, Z., & Foumany, E. (2014). Relationship between marital satisfaction and personality characteristics on the basis of myers-briggs inventory and big five questionnaire. Journal of Education and Management Studies, 4(4), 787-790. Spanier, G. B. (1976). Measuring dyadic adjustment: New scales for assessing the quality of marriage and similar dyads .Journal of Marriage and Famil-y, 38,15-28. Spanier, G., & Lewis, R. (1980). Marital quality: Areview of the seventies. .Journal of Marriage and the Famil-y, 42, 825-839. Taylor, S.E., Peplau, L.A., & Sears, D.O. (1997). Social Psychology. New Jersy: Prentice Hall. Tiwari, R., Singh, B.G., & Hasan, B. (2017). Acculturative stress and coping strategies of foreign students: A Systematic Review. 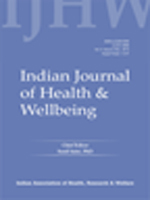 Indian Journal ofHealth and Well-being, 5(7), 683-687. Vithanage, R.D.H. (2014). The influence of adult attachment styles on marital satisfaction among married couples. Journal of Scocial Science, 6(1), 46-65. Wallerstein, J. S. (1986). Women after divorce: Preliminary report from a ten-year follow-up. American Journal of Orthopsychiatry, 56,65-77. Weidmann, R., Ledermann, T., & Grob, A. (2016). The interdependence of personality and satisfaction in couples: Areview. European Psychologist, 21(A), 284-295. Zhang, J., & Goodson, P. (2011). Predictors of International students psychosocial adjustment to life in the United States: A systematic review. International Journal of Intercultural Relation, 35, 139-162.